Welcome to the Alaska Harriman Retraced on-line expedition -- we are pleased that you will join us on this voyage to The Great Land. This site will take you on a virtual tour of the coast of Alaska, from the island-studded waterways of the Southeast to the misted coastline of the Bering Sea. You will follow two expeditions: Edward Harriman's 1899 trip on the George W. Elder, and the Summer 2001 Clark Science Center, Smith College trip on the Clipper Odyssey. The site will help you get ready for the trip as you enjoy the history of and observations from the 1899 trip. Then, join the voyage of this millennium. 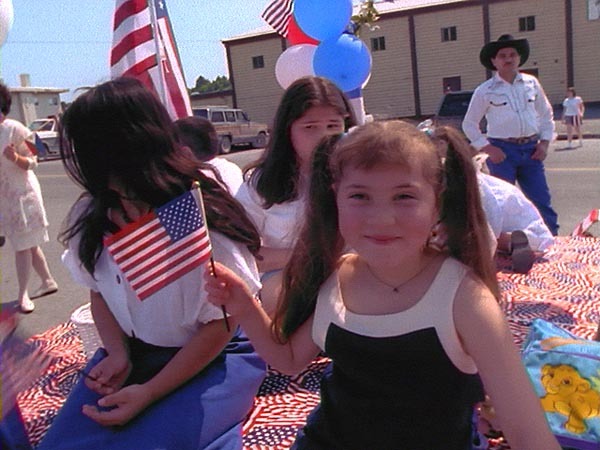 Young Alaskans in Kodiak celebrate the Fourth of July, photographed in 1999 by Larry Hott. Attend the virtual "lectures" of the on-board scholars -- informal and exciting e-professional development! Join us for this look at the Alaska of one hundred years ago and today's Alaska. 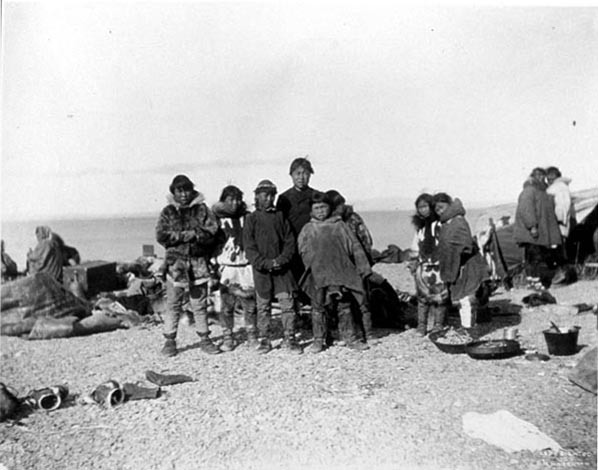 Eskimo children pose on the beach in Port Clarence, photographed in 1899 by Edward Curtis. "Nine of my little ones have been advanced to the First Reader. ...[When] I announced the important fact of their raise in the intellectual world, nine pairs of shining black eyes looked eagerly and delightedly into mine; all so overjoyed to have a book all their own to study. I expect great things from this class." Frances Willard, a Tlingit school teacher in Sitka, writing on her students progress in 1892. Quoted in the monthly journal, The North Star. 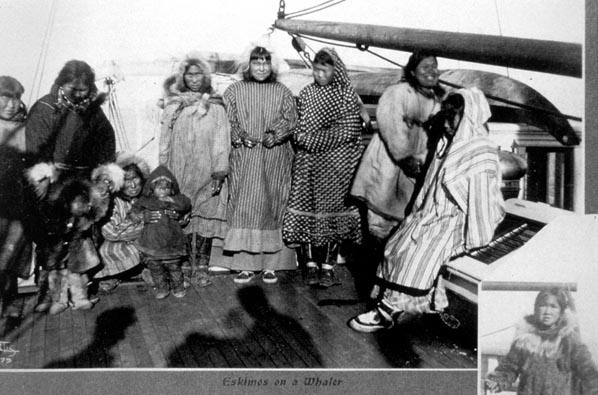 A group of Eskimo women and children visit a whaler in Port Clarence, Alaska. Photographed by Edward Curtis, 1899.